Are you a trustee? If so, here’s what you need to know about your trustee duties. Call us for experienced help administering a trust. 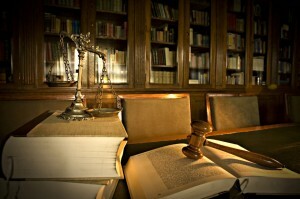 Being sued and held personally liable for your mistakes with administering the trust. To clarify some of the essential obligations that come with administering trusts and to minimize the chances that you’ll make mistakes, in this three-part blog series, we will point out some of the main trustee duties you will need to know about when you are administering trusts. If you have questions about or need any assistance with your trustee duties, don’t hesitate to contact the Denver trust attorneys at JR Phillips & Associates, P.C. Being impartial – When administering the trust, the trustee should never promote or advance the interests of any one party or beneficiary at the expense of another. Being loyal to serving the interests of the trust – Specifically, this means that trustees should not advance their personal interest at the expense of the trust and its interests. Being prudent and careful when administering the trust – In other words, the trustee agrees to always make decisions and act in the interests of the trust and the beneficiaries when administering the trust. For our continued discussion of trustee duties, be sure to look for the upcoming second and third installments of this blog series! While this means that we provide personalized attention at every step of the process, it also means that our clients can rely on our Denver trust attorneys to always be competent, caring and professional while providing them with the highest quality legal services at affordable rates.